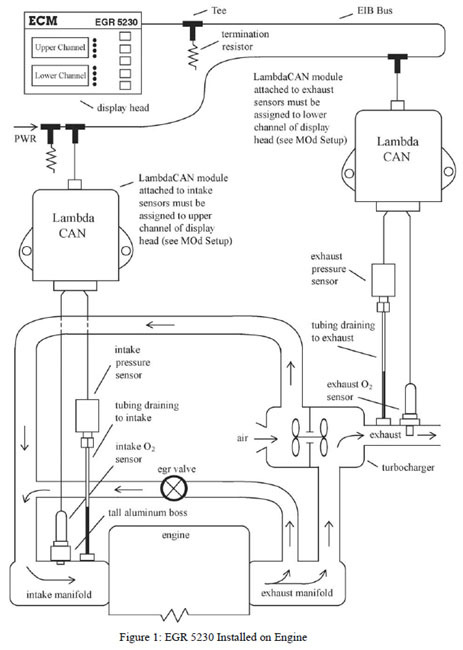 Exhaust gas recirculation (EGR) is a powerful control used to suppress NOx emissions in engines. As important as EGR is to the operation of engines, in the past there has been no simple and compact way to measure it. 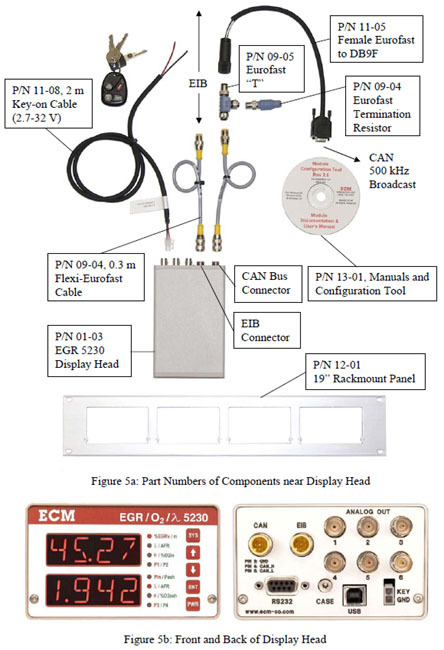 Now there is with ECM's EGR 5230 Analyzer. 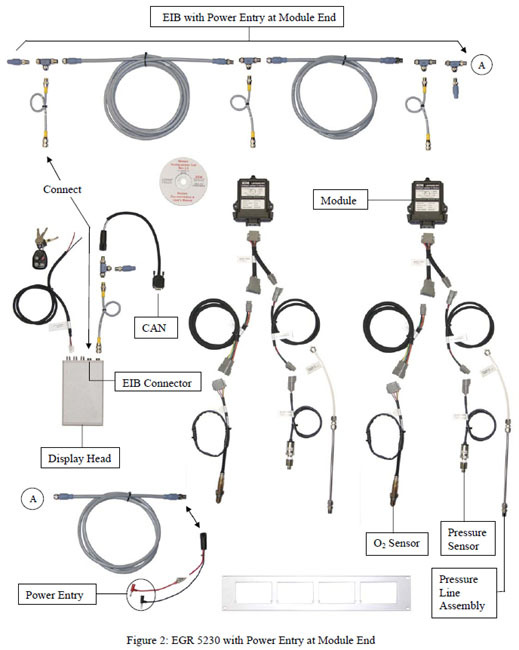 The EGR 5230 determines the %EGR by measuring the O2, oxidizable concentrations, and pressures directly in the intake and exhaust of the engine under test. Because there are no pumps drawing samples from intake and exhaust of the engine, the instrument is non-intrusive and has response times of less than one second. There is also a dramatic reduction in maintenance in comparison to other systems. 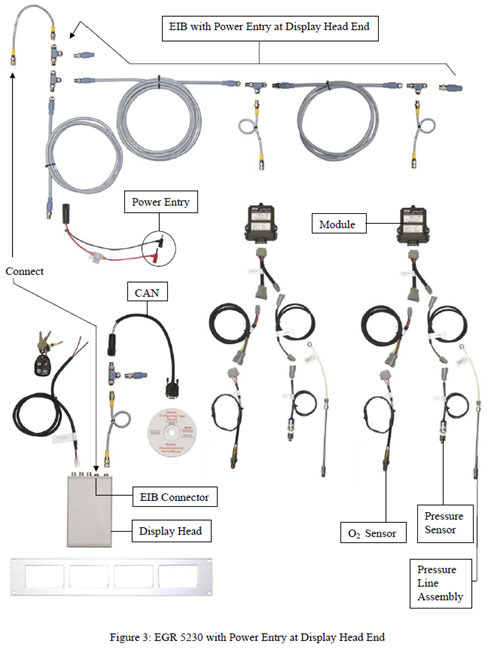 The EGR 5230 can display both volumetric and mass-based %EGR as well as Lambda, AFR (air-fuel ratio), intake %O2, exhaust %O2, intake pressure, and exhaust pressure. 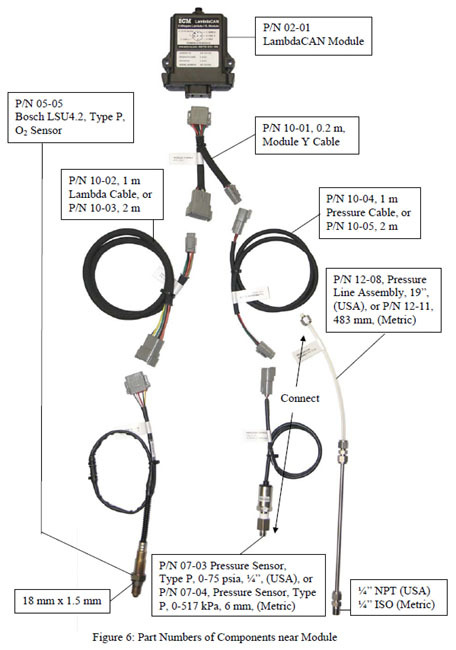 The analyzer can also function as a dual-channel, pressure compensated Lambda (AFR) meter if the intake sensors are relocated to the exhaust. 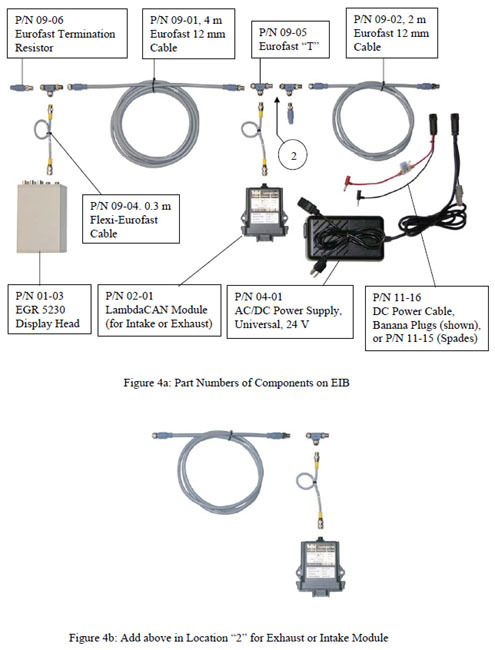 With six analog outputs, CAN, USB, and RS232 communication, the EGR 5230 can be integrated with any data acquisition system. Set-up of the EGR 5230 is easy: Mount the ceramic O2 sensors in the intake and exhaust of the engine using 18mm x 1.5mm bosses and route pressure taps from the intake and exhaust to the EGR 5230's pressure sensors. Calibration of the EGR 5230 is simple: Expose the O2 and pressure sensors to air and press a button on the instrument's front panel. Calibration data for the O2 sensors is stored in a memory chip in the sensor's connector. 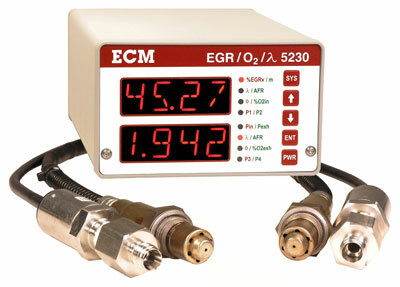 The EGR 5230 is fast: This means the analyzer can be used to develop dynamic EGR algorithms. More can be done and tried in less time. The EGR 5230 is small: now you can measure in a vehicle and on the road. EGR and Lambda (AFR) are the two most important parameters influencing the emissions, fuel economy, and drivability of engines. 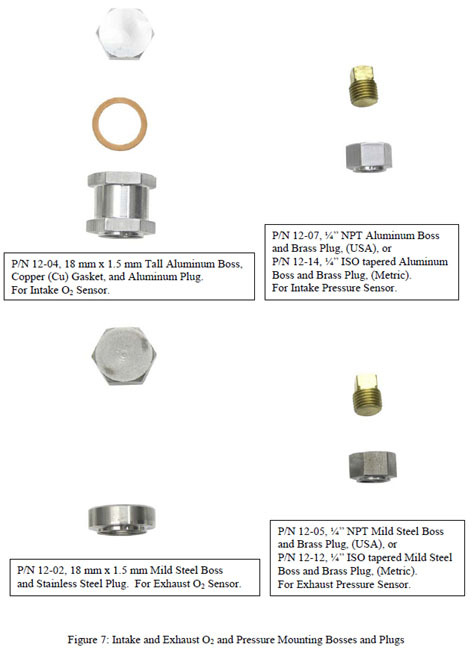 Measure these parameters quickly, easily, in the laboratory and in vehicles with the EGR 5230.